Obesity, What Are We Doing To Our Pets? 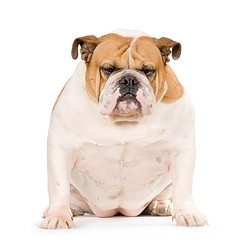 This entry was posted in Steve Dale, Training and Behavior and tagged obesity in pets, pet obesity prevention, Steve Dale on December 13, 2012 by Mary Haight. So we like the pudgy pets because it makes us feel less bad about our weight?